Danielle Burnham is founder and spearhead of a small, Brooklyn-based digital marketing firm specializing in editing and writing for the web. For Burnham, art is a passion that has yet to find its way; for now, she writes about it for the love of learning. 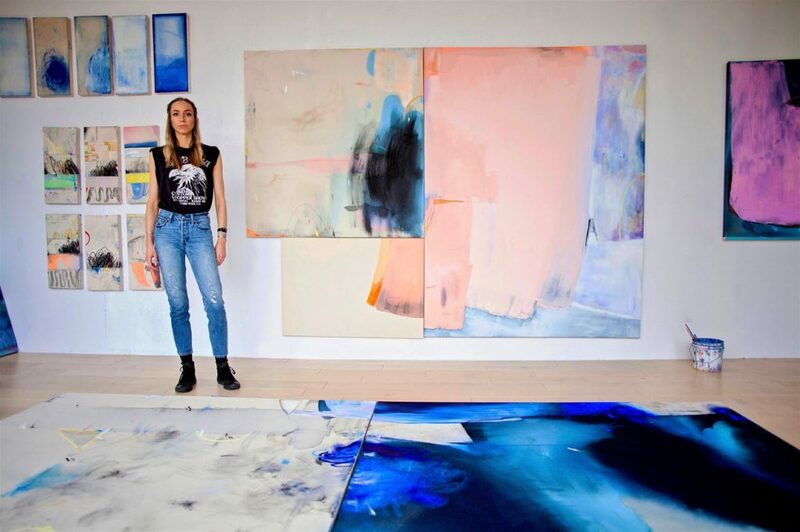 Lizbeth Mitty in her studio. Photo courtesy of the artist. I met with rising talent artist Dana James and her mother, veteran NYC artist Lizbeth Mitty, prior to their joint exhibition, “The Thread,” which opened March 15th at M. David & Co. Gallery in Bushwick. It was late February, and the artists were trying to answer the lingering question: Which new works should we display? The debate was an extension of a conversation that had been running for months. 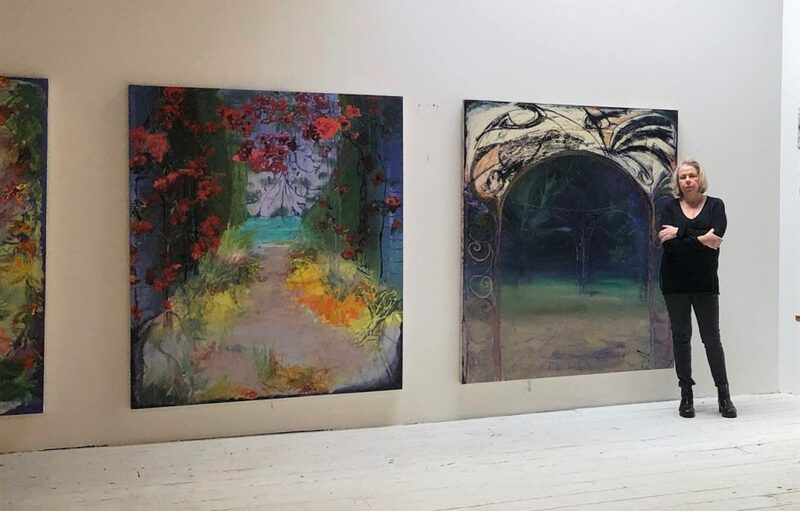 Throughout the creative process, alone in their respective studios, the artists had frequently exchanged feedback on works in progress, eschewing criticism for constructive, “technical” suggestions that served to “open the floodgates” and renew the other’s creative energy.